The Green Roof Inn offers a variety of ground-level, room options with a large, level, curb-free parking area directly in front of the lodging units. 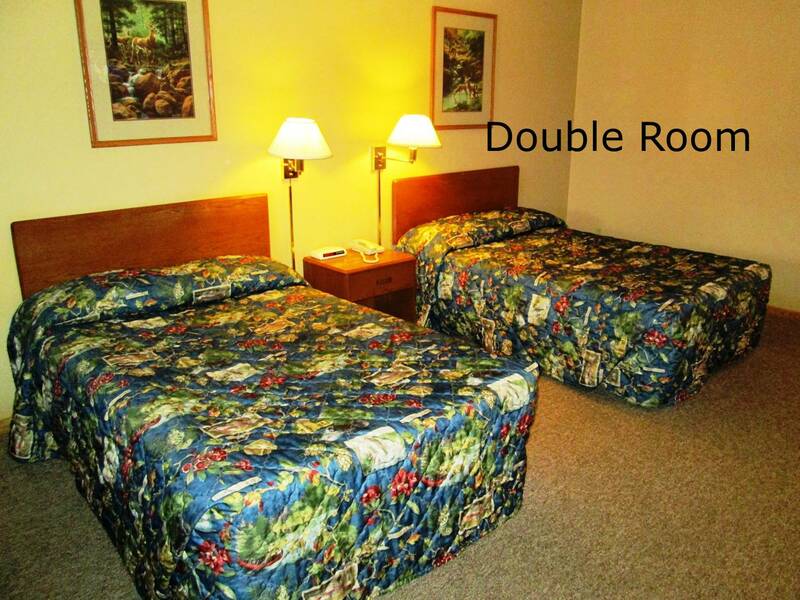 In addition to the reasonably priced nightly rates, The Green Roof Inn offers short term monthly rentals & weekly rates, the motel is pet friendly, and we offer free, outside boat storage for guests who regularly make multiple trips to Lake Erie and stay with us. Room choices are queen, king, double, kitchenette, and family plus one and two bedroom apartments. Those choices provide you with options to suit all traveler needs. Depending on the room you select, it is furnished with end-tables, wall lamps, and table with chairs, large drawer dresser, and offset closet area to hang garments, vanity area with sink, and bathroom facilities. Some units offer additional furnishings. As a family owned and operated, The Green Roof Inn provides a level of service and facilities designed to help our guest’s relax and enjoy their stay. There is plenty of room to walk your pet, a cleaning station for anglers to clean and store their catch, and picnic area that allows guests to enjoy some outside time in a beautiful rural setting. Inn office hours May 20 to November 30 are Monday thru Friday 8 am - 9:30 pm and Saturday and Sunday 7 am- 9:30 pm. December 1 to May 19 the hours are 9 am - 7 pm. You can check between the hours of 2 pm till closing, however we do offer after hours check in with prior approval from office staff. Special holiday hours are Thanksgiving Day 8 am - 8 pm, Christmas Eve regular office hours, Christmas day regular office hours, New Year’s Eve regular office hours, New Year’s Day regular office hours. Please keep in mind, there will be no housekeeping on Thanksgiving Day or Christmas day. If you need anything on those days, please ask the office personnel. If you need an afterhours check-in, you will need to make prior arrangements with the office staff. The Green Roof Inn operational standards, policies and services are first-class. Your pets are welcome at the motel. Our pet fee is $10 for the first night and pet, each additional night or pet will be $5 plus 6% tax. You must have a valid credit card to have a pet in your room and any damages done to the room will be charged to your credit card. Rooms will be inspected at management’s convenience. If damage is found, your credit card will be charged a minimum of $50.00, for said damages. We will send a detailed accounting of the damage and charges to you. We also require that you walk pets in designated area and clean up after your pet, keep pets in a kennel as often as possible, pets are not to be left in room alone unless kenneled, keep pet’s food and water on tile floors only – not outside, keep pets quiet – noisy pets will be asked to leave and no monies will be refunded, keep pets off bed and furniture, pets are not to be tied outside and never leave pets unattended. The Green Roof Inn also offers special facilities for its guests. A stainless steel fish cleaning station, cutting boards, sink, and with large box freezers for storing your catch is located at the end of the walkway in front of the main office building. A picnic area under-roof with large wooden picnic tables and gas grill is available. A short distance beyond the picnic area a fire-ring and firewood is available for guests who would like to relax around a campfire. For guests who stay a minimum of 4 nights per 30 day period, free, outside, boat storage is provided. The lighted, boat storage parking area is located behind the main office building. Electric outlet for charging a boat battery is provided. Guests who use the free boat parking area do so at their own risk. The motel is not responsible for theft or damage.